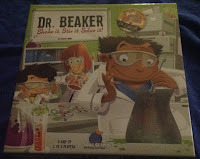 Dr. Beaker you must flip a challenge card and race your opponents to match the formula. Using logic and your stirring rod, you move the molecules into the right spots. 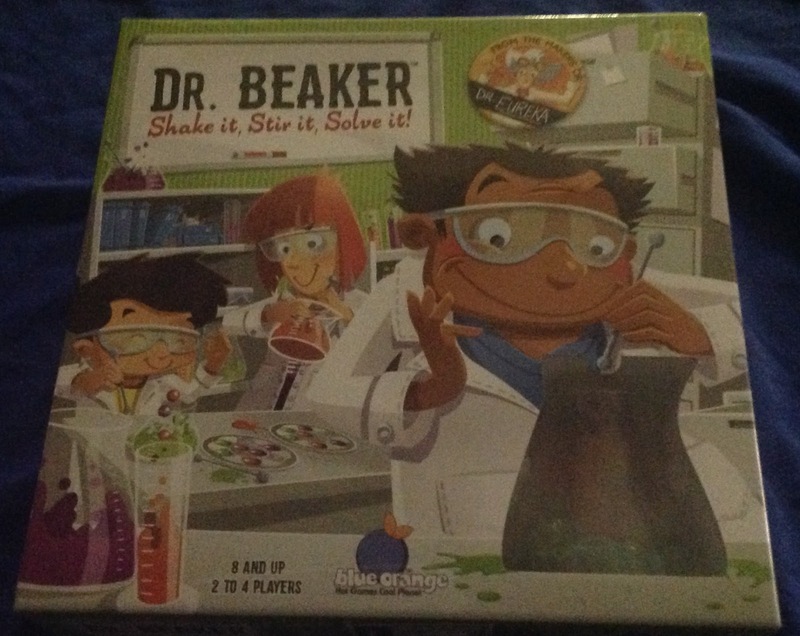 All while trying to maneuver the special rotating platform at the bottom of your beaker which only allows the molecules to move one-by-one. Cassandra's review- As most of my readers already know, my kids range in ages and skill levels, some even have special needs. I thought this game would be super challenging but fun. Ages 8 and up can play, because the marbles are tiny, you want to keep them away from younger aged kids as well as pets. The whole thing is plastic, not glass, so safe for kids that drop things. 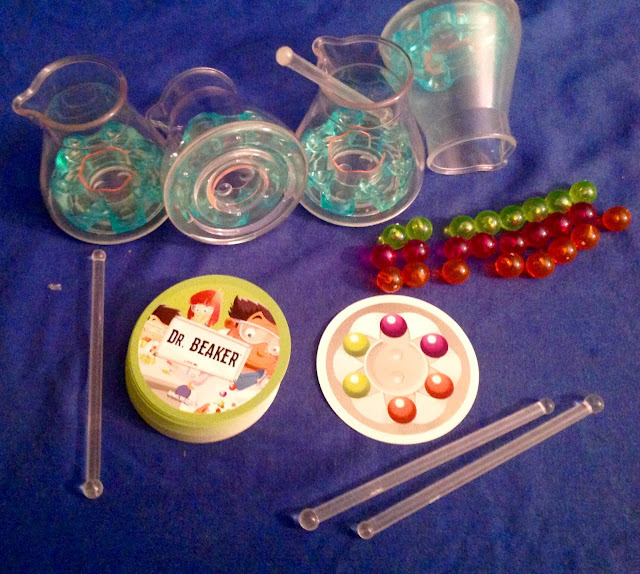 The whole idea is to move the marbles around in the beaker, but there is also a section for each to go into. While my older kids had fun, some of them struggled with the little stirring rods and also the marbles kept jumping over the wall. In the end I said that everyone who played won as long as they got the marbles in the spots at all. So depending on your kids patience and skills, this can either be super fun or kinda frustrating.